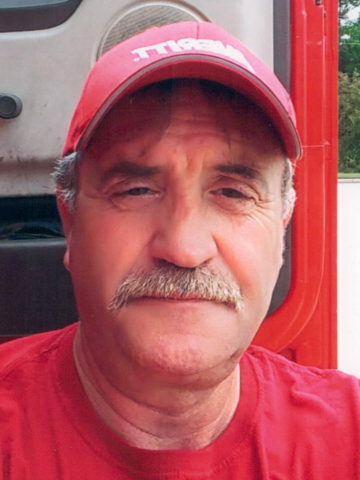 Tommy Curtis Thompson, age 57, of Nashville, TN passed away on Friday, January 18, 2019 at his home. He was born in Michigan on January 3, 1962 to Owen Thompson and Joan (Thompson) Smith. Tommy is preceded in death by his father. Tommy is survived by his loving wife of 23 years, Rose Thompson; his children, Dawn Cunningham and Brian Ward(Sabrina Paris); and his grandchildren Travis, Nathaniel, and Kayli Ward. He is also survived by his mother; one sister, Christine Kirkland; and two brothers, Charles Thompson and Danny Thompson. Tommy’s family will always remember him as an Overcomer. He never quit and he never gave up. One of his favorite hobbies was cooking, especially Italian. Tommy served his country in the U.S. Army. One of his latest accomplishments was gaining his CDL’s and beginning a career with Averitt Express Transport Company. A Celebration of Life Service will be held on Tuesday, January 22, 2019 at 10:00am in the chapel of West Harpeth Funeral Home. Visitation will be held at the funeral home on Monday, January 21, 2019, from 4:00pm until 8:00pm and again on Tuesday, from 9:00am until the hour of service. Tommy will be laid to rest at Harpeth Hills Memory Gardens. Tommy was a friend of mine. Enjoyed talking with him. He was an Usher at Church on my team. He was a humble good man. He will be missed but not forgotten. Love you Tommy. Tommy, my heart is broken. We love you so much and will miss you terrible. You were the most patient man I know. You always took care of your family and love us without question. Thank you for taking me in as a daughter-in-law and I am going to kiss our conversations, family time and your family meals. We will see you again one day. Tommy was my step father but that was only a label. Tommy was my dad my father and grandfather to my children. Tommy was a very patient man.He came into my life when i was a teenager so he had to be. Tommy but his career on hold as a truck driver so i could pursue that career. Tommy rarely if at all thought of himself. Tommy did eventually start a career as a truck driver and as short lived as it was he loved it. Tommy loved to cook be it cheesecake or some pasta dish he threw together. It was his passion along with his love for his wife his family and the Lord. Dad you will me missed and loved always shall you rest in peace in the arms of the Lord our God .Until i see you again . You were one of the sweetest sons I had and I’ll miss you terribly.Even though we Hadn’t seen each other for some time we talked on the phone regularly which I’m going to miss. You were a strong, caring, loving and hard working person. You’ll be greatly missed by all your family and friends. Tommy you always have been and always will be forever in my heart. This is so hard for me to put into words. I can say you’re gonna be missed I love you Tommy and I am gonna miss you. I remember when we were growing up we had some wonderful times. I will always treasure the memories. I love you tommy my beautiful an wonderful brother. Until we meet again! Tommy and Rose are our very close friends . I was at their wedding 23 years ago. They have been so instrumental in our prison ministry by providing us with a place to stay after I retired and we moved to the country. Without them we could not have been able to do what we know God has called us to do. Tommy you will always be in our hearts and minds as a great man of God. We sat for hours listening and being amazed at his insight and knowledge of the word of God. It was his passion . We will be there for Rose as you both have been there for us. Tommy we will miss you so much. I was at Rose and Tommys wedding 23 years ago. He married my best friend. Rose and Tommy was such a blessing to us by opening up their home to us and providing a place for us to stay after I retired and we moved away. Without them we could not have been able to continue the work God called us to do in the prison ministry. They were and are a real part of our ministry. Our fondest memories of Tommy was listing and talking about God together. His knowledge and insight was amazing. He was a precious man of God who will be remembered always.